Emmett cites his work on mental health as his proudest accomplishment in office. His greatest frustration: lack of cooperation from state government. Ed Emmett steps down as Harris County judge on January 1, after 11 years in office. Judge-elect Lina Hidalgo will be sworn in the same day. 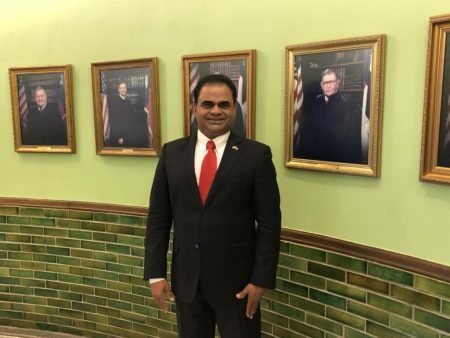 Ask Emmett what he thinks Harris County’s biggest accomplishment was under his leadership, and he points to the $2.5 billion flood bond passed in August. But as he told Houston Matters Friday, what he’s proudest of personally is his work on mental health. 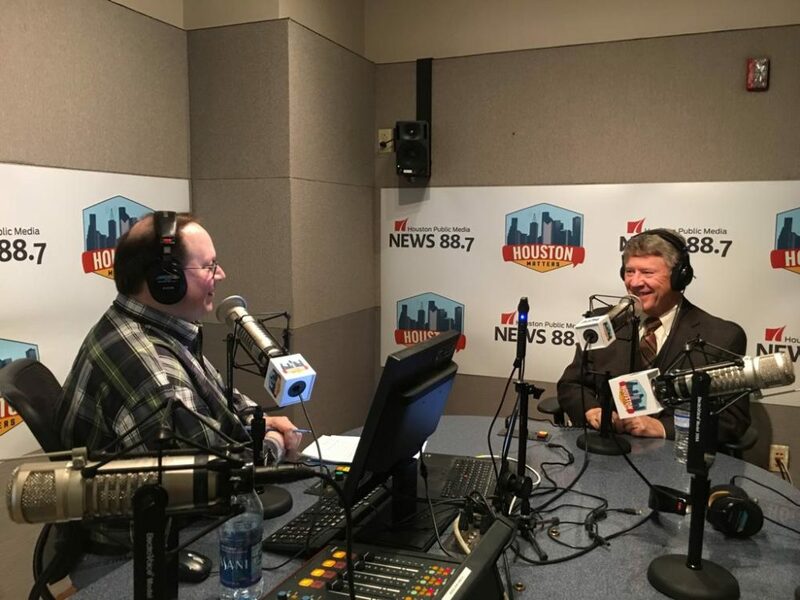 Ed Emmett (right) granted one of his last interviews as Harris County Judge to Houston Matters host Craig Cohen (left) on December 21, 2018. During the interview, Emmett discussed his long tenure leading the largest county in Texas and the third most populous in the United States. 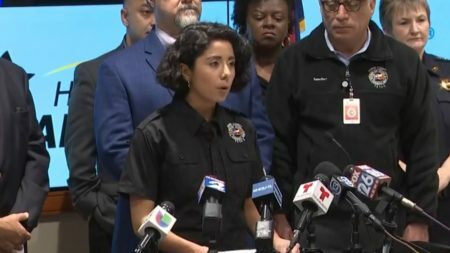 But Emmett says it will take years, and a lot more state funding, before the jail is no longer Harris County’s biggest mental health care provider. Emmett says one of his biggest concerns going forward is the trend of state government overriding local control. 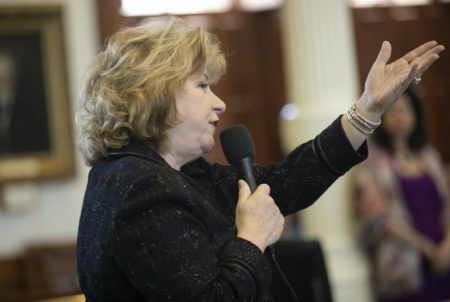 “I and other officials have failed to convince certain state leaders to leave local government alone,” Emmett said. 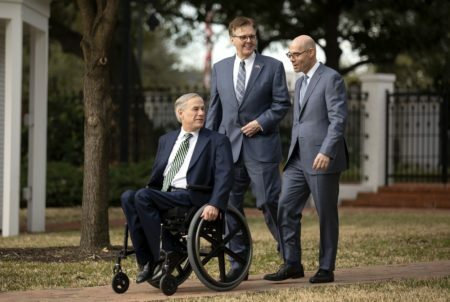 That appears to be a reference to Governor Greg Abbott, Lieutenant Governor Dan Patrick, and State Senator Paul Bettencourt, all of whom favor limiting property tax growth. Property taxes are the chief source of revenue for county government. Emmett is preparing to take up several new responsibilities at Rice University, his alma mater. He’ll become a non-tenured professor, teaching a course this spring on the workings of the Texas Legislature. He’ll also serve as a senior fellow at the Kinder Institute for Urban Research and assist with the establishment of Rice’s new innovation center.